So we have a guy who is a standup comedian that gets his own sitcom. He has a male and female sidekick who come in and out of his life. We’ve seen this formula dozens of times before. It all began with Seinfeld but no one has been able to recapture that magic that we had between Jerry, Elaine, and Kramer. 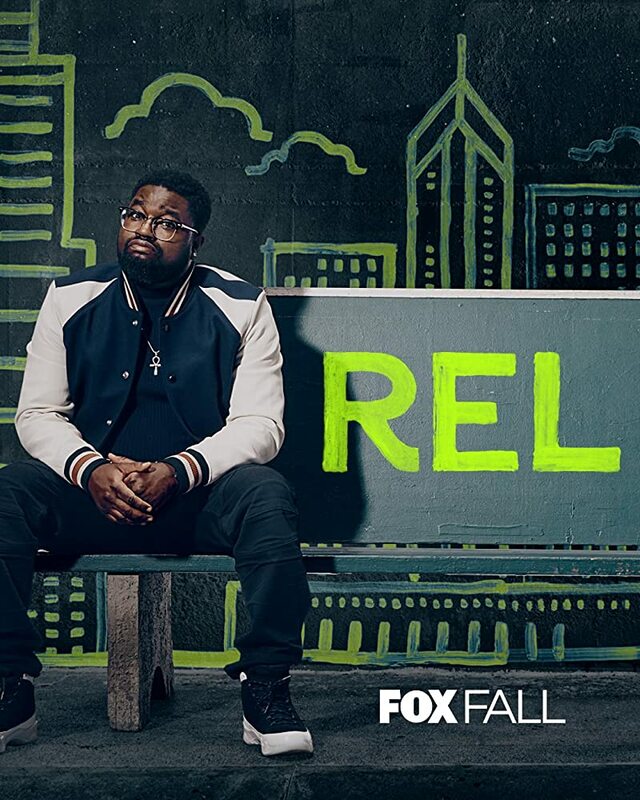 The new multi-camera half-hour comedy “Rel” starring Lil Rel Howery is another such attempt that at least initially falls short. Then again it’s probably unfair to compare a newcomer to what is one of the most successful sitcoms of all time. Lil Rel Howery has appeared in the recently canceled “The Carmichael Show” which I enjoyed. However he is most famous for his role in the hit movie “Get Out” as the comic relief sidekick TSA agent who gives Daniel Kaluuya advice over the telephone as he faces his bizarre future in-laws. He is now capitalizing on that success with this new sitcom. The premise of the show is that he is a nurse living on the south side of Chicago whose wife had an affair with his barber. She takes their two kids and moves to Cleveland. He tries to get over the shame of the loss. He is supported by his best friend Britney played by Jessica “Jess Hilarious” Moore and his ne’er-do-well brother Nat played by Jordan L Jones. Nat is recently out of jail and is constantly denying that he was a meth dealer. It wasn’t meth it was ecstasy like that makes a big difference. 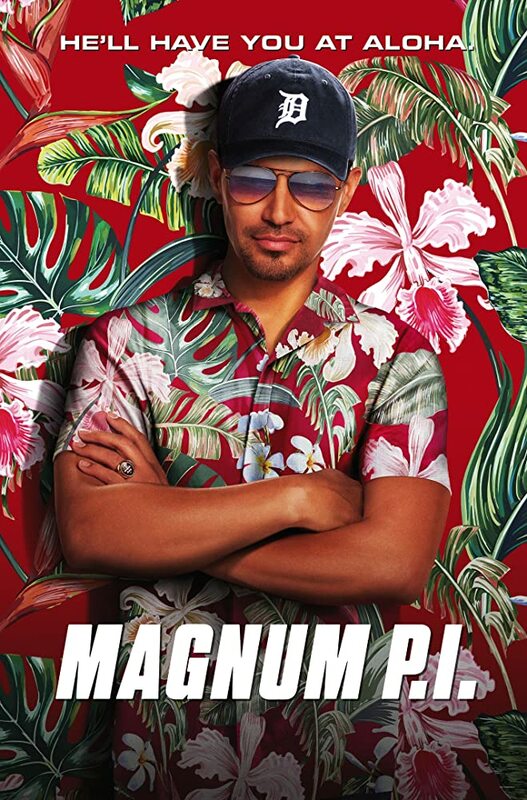 Their father is played by veteran comedian Sinbad who is disappointed in both of his sons. In one scene where they go to church, dad tries to be supportive of his recently divorced son but he insists that he not sit near him because he doesn’t want to be associated with a guy who could lose his wife to a barber. The preacher in the church is also played by Howery made up in a bald cap and a beard. My ultimate test for a sitcom is “did it make me laugh?” And on several occasions this one did. The first episode was pretty much a one joke story about the shame of losing your wife to your barber. It remains to be seen if the show remains creative and funny or just becomes a string of well-worn clichés. Admittedly because I’m an old white guy I not going to have as much appreciation for some of the cultural context of an African-American cast and story. I probably will not continue to watch. I already enjoy “black-ish” and found it to be funnier than “Rel”. Don’t let my lack of enthusiasm for the show turn you off. It does have some very funny moments and I suppose once I got used to the characters I might appreciate it more. But in an already crowded space I will not be adding it to my watchlist. Because I did laugh I will give it a very strong rating of “Could be watchable“. 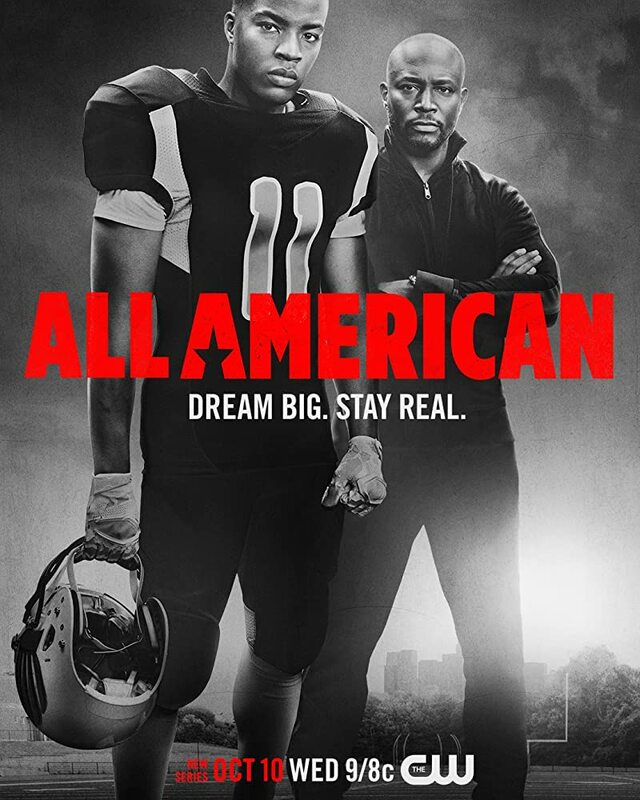 If you’re looking for a good African-American comedy you should check it out for yourself. That show appears on Fox. The pilot episode was shown September 9 as a sneak preview and is available on demand. Regular episodes premier September 30. Good Girls is a new dark comedy from NBC. Three ordinary housewives try to solve their problems by holding up a grocery store. It features Annie who is a single mom who works as a checkout girl in a grocery store. She drives a junk car and her ex-husband is suing her for custody of her kid. She has played by Mea Whitman who you will remember as Amber from Parenthood. Her older sister Beth is played by Christina Hendricks who you may remember from Mad Men. Her husband is a used-car salesman who is cheating on her with a bimbo. Their friend Ruby is played by Retta who you may remember from Parks and Recreation. She has a daughter in need of expensive medical care. The whole thing is played for laughs until they suddenly find out they came away with much more money than should have been there. They were expecting to find $30,000 but instead came away with over a half-million. They soon discover that the grocery is a front for a drug dealing gang who tracks them down and wants their money back. Also the store manager recognized Annie’s tattoo and threatens to turn her in unless she sleeps with him. Despite the dark situation, this show has a good balance of heart, comedy, and drama. You really feel for the plight of the mother who can’t get the medical care return needs. The peril they face from the drug dealers who threaten to kill them if they don’t return money is very real as is the attempted sexual assault of the grocery manager. So it is very dark at times. As the show proceeds, they get deeper and deeper into trouble and every time they try to get out, things only get worse. From this description I’ve just given, it doesn’t sound like a very enjoyable experience but for some reason I kind of like it. You find yourself empathizing with the characters and riding along on the journey with them. The comic moments help keep it from being a total downer so in some ways that keeps it from being hopelessly dark. I didn’t really intend to add it to my list of shows I watch regularly but after one episode I kind of got hooked on it and am anxious to see where it goes from here. I’ve seen two of the three episodes that have aired and I’m going to try a couple more before I decide if it holds up or just becomes a sort of one joke story. I give it a raising of “Could be watchable” but the jury is still out. Fox has just premiered a new singing competition show titled “The Four: Battle for Stardom”. It’s really difficult to give a review for such a program because the quality of the program in many ways depends upon the quality of the contestants. A phrase like “quality of the contestants” is a very subjective thing that varies according to a person’s taste. Also even in established competition programs like “The Voice” and “American Idol” they have had good years and bad years. So the only thing I can really judge is if I like the format of the competition. This particular show tries to break out and do something different with its format. So let’s take a look at it. It’s called “The Four” because at any given time there are four artists in the competition. At the beginning these contestants were preselected by the judges and/or producers. Then as each new contestant comes along their goal is to unseat one of the four. The judges are Sean “Diddy” Combs, DJ Khaled, Meghan Trainor, and Charlie Walk. The host of the show is Fergie. The show is scheduled to run six episodes of two hours each. The entire program takes place in front of the studio audience. There are some brief interviews with contestants as they are introduced but there are no biographical pieces about the contestants in their home like you might get on American Idol or America’s Got Talent. Also there is no mentoring of the contestants like The Voice or American Idol. A challenger contestant comes on stage and after a couple of brief questions from the judges they perform a song. There’s no evidence of a live on stage band so it appears the accompaniment is all prerecorded. After some comments from the judges, the judges vote on whether or not to allow the contestant to challenge one of the four. It takes unanimous vote of the 4 judges. Theoretically the vote is anonymous but from the comments of the judges it’s generally pretty obvious who voted no when that happens. Or perhaps after the vote is in, one of the judges will admit they voted no and perhaps explain why. If the contestant gets unanimous approval by the judges then they get to pick which of “The Four” seated contestants they want to challenge for their seat. At the beginning, the four contestants are a pretty diverse group with a female rapper, a hip-hop singer, an R&B singer, and a pop singer. So depending on the style of the contestant, they are naturally going to pick someone in their own genre if possible. Once the contestant has picked which of the four they are going to challenge, that seated contestant performs first. Then the challenger performs another song for which they are judged against the seated contestant. The decision whether or not the challenger unseats the chosen one of the four is made by an audience vote. They vote on an app on their smart phone. Presumably a link was provided to them when they came into the audience. If the audience approves, the challenger takes a seat among the four and the process repeats. According to the explanations given, somewhere at the end of the season, the four will compete against one another to pick at ultimate champion. The prize includes a recording contract and mentoring from the judges on the show. In general I don’t like head-to-head battles in reality competitions. It’s the reason I quit watching The Voice. I much prefer a format where everyone gets to compete and then the worst of the bunch gets voted out by some means or another. One of the challenging decision that producers have to make in designing a format is how to balance the votes of the judges versus a public vote. Shows like American Idol and America’s Got Talent the judges pick the initial contestants after that most of the power is in the hands of the audience. Dancing with the Stars uses a 50/50 system that balances the judges votes with the TV audience. I think I like the idea that the judges pick whether or not a contestant is worthy to challenge but the ultimate decision is left up to the audience vote. By having that vote instantaneously with the studio audience rather than the viewing audience, they get the results right away. You don’t have to wait until the next episode to find out if someone moves on. It also frees them up to pre-record everything and they don’t have to have the live broadcasts. Although this format doesn’t have the “vote out the weakest player” feature that I like, somehow this particular format is less objectionable to me that the heads up battles of The Voice. Even though it is heads up, the idea that you have a challenger and an established player going against one another makes it a little more interesting than having contestants who are essentially equals going after one another. The styles of music are bit more diverse than the strictly pop/country formats of American Idol and TheVoice. You don’t get a lot of rap or hip-hop on those programs. I’ve also thought that American Idol realizes that its audience consists of people closer to my age because they will have theme nights devoted to the Beatles, Tony Bennett, classic rock, classic country or maybe even Andrew Lloyd Webber. The genres covered in this show skew towards a younger modern audience. I haven’t decided if I will continue to watch the show or not considering how far behind I am on shows that I like a lot better than this one. Also we have a new round of American Idol coming up so I may just wait for it to premier in a few weeks. Ultimately I suppose I would have to rate it “Could Be Watchable” with the advice of saying it’s something that’s very much dependent upon personal taste so you will have to make your own decisions. Marvel comics is continuing to expand its TV offerings with 2 new series this season. On ABC we have “Marvel’s Inhumans” and on Fox we have “The Gifted”. This is in addition to 6 seasons worth of offerings on Netflix of various Marvel heroes with more to come and Marvel’s Agents of SHIELD already on ABC. “Inhumans” is more closely related to Agents of SHIELD. In Agents we’ve already been introduced to these so-called inhuman characters. Basically if you have a particular genetic marker and come in contact with a substance called Terrigen it transforms you and gives you some sort of mutant ability. In Agents there was a plot line in which Terrigen was released into the world’s water supply and people are randomly popping up with these superpowers. Some use them for good others for evil. In this series we have a group of humanoid alien inhumans living in a secret domed city on the moon called Attilan. They are led by a Royal family who all have mutant abilities. However some percentage of the population of this hidden lunar city do not develop these abilities when they go through Terrigenesis. Most notably Maximus the brother of King Black Bolt. Maximus is played by Iwan Rheon you will recognize as Ramsey Bolton from Game of Thrones. He stages a coup and the royal family have to flee to earth. It appears to be earth at approximately the same time. As Agents of SHIELD because people they encounter on earth seem to be aware of Inhumans. The first two episodes were pre-released in IMAX theaters before the show aired. It got mixed to bad reviews. My initial reaction was that I was glad that I didn’t waste my money on IMAX tickets. In general it’s not a bad show but it’s nothing extra special. The cast of characters includes… King Black Bolt played by Anson Mount who you will recognize from the AMC Western series “Hell on Wheels”. His mutant ability is that if he speaks even the slightest sound he emanates a huge destructive shock wave. This ability resulted in the accidental death of his parents when he first developed it as a teenager. As a consequence he communicates through sign language. The writers of the show made up their own sign language because he is not from Earth and therefore would not use such systems as American Sign Language. The Queen of Attilan is Medusa portrayed by Serinda Swan. She has floor length red hair that she can control like an appendage. In the opening episodes she is captured by Maximus and he shaves her head to render her powerless. There are a variety of other mutant characters insufficiently interesting to detail here. The only other memorable character is a 2000 pound giant dog named Lockjaw that is capable of teleporting anywhere including to earth. He’s responsible for helping the royal family escape. The character is rendered in full CGI and claims to be the first regular TV character to be full CGI. Press interviews reveal he’s going to be a bit of comic relief but so far he’s been nothing but my proverbial plot driven technology. It’s a little bit difficult to judge what the actual series is going to be like. The family of Royal Inhumans are going to be stranded on earth currently in Hawaii. They are being hunted by Royal guards loyal to the brother Maximus who has overthrown them. Somewhat like Star Trek: Discovery the first two hours are almost a prequel to the actual series itself. Again there’s nothing really wrong with the show but it just isn’t anything very special. The other offering based on Marvel characters is Fox’s “The Gifted”. It’s more closely related to the X-Men movies. It takes place at about the time of the recent X-Men film “Logan” or possibly slightly before. It is in an era where the X-Men have “disappeared” and the government is rounding up mutants… some because they are dangerous and others “for their own safety”. The basic plot revolves around the Strucker family led by the father Reed Strucker played by former True Blood vampire Stephen Moyer. He is in Atlanta prosecutor who specializes in prosecuting mutant criminals however he seems to have some sympathy for them. He has a wife and two teenage children. Unbeknownst to him his daughter Lauren has had mutant abilities for a few years. She has to reveal them in order to save her brother Andy who accidentally discovers his own mutant abilities. He is a young teen who is being bullied at school. The bullies dragged him from the high school dance into the locker room to torment him. He unleashes shock waves that nearly tear down the school in a scene reminiscent from Stephen King’s Carrie. As a result the family has to go on the run to avoid being arrested by federal “Sentinel Services” who have broad powers to detain any dangerous mutants. Reed turns to a mutant underground group that he has been pursuing in order to help his family escape. It looks like the story is going to be equally divided between the story of the family and the mutant underground. This series has a very dark tone to it as the mutants are presumed to be dangerous terrorists whether they are or not. The themes of prejudice and racism are prominent in the series as they are in many of the X-Men stories. Again unfortunately the opening episode focuses mostly on setting up the series and it’s a little bit difficult to see exactly where it’s going from here. Overall I would say that the action and special effects are more interesting than Inhumans and the characters certainly are more interesting. It is apparently going to focus mostly on the teenage kids which tells me the show is reaching for a young adult audience along the lines of Hunger Games, Divergent etc. It almost looks as though the show would be along the lines of something you would see on CW network. In general I’m giving both series a “Could be watchable” rating with more emphasis on “The Gifted” than “Inhumans”. We will have to see where each of these go to see if they develop more compelling stories or interesting characters or if they are just another opportunity for Marvel to cash in on more of its B-list characters. This season we have at least three new military themed dramas of which I’m aware. I’ve seen two of them and around neither of them are anything exceptional they are mildly interesting and unfortunately quite similar. The two we are talking about today is NBC’s “The Brave” and CBS’s “SEAL Team”. Yet to come is CW network’s “Valor” about U.S. Army helicopter pilotspremieres October 9. NOTE: there are minor plot spoilers from the premier episodes. “The Brave” opens with some text reminiscent of NBC’s other flagship dramas “Law & Order”. It says “The defense of the United States and its citizens relies increasingly on two groups… The intelligence analysts in Washington, who uncover and interpret threats. And the Special Forces operators tasked with eliminating.” That pretty much sums up what the show is about. We have a group of analysts back in Washington DC led by Patricia Campbell who is played by Anne Heche. And we have a small group of special forces operators led by Adam Dalton played by Mike Vogel. You might recognize in from the sci-fi series “Under the Dome” in which he played Dale Barbara. The rest of the cast is not anyone you would recognize. The opening episode involves the rescue of a female American doctor who is kidnapped by terrorists while working in a relief mission overseas. Our heroes are tasked with rescuing her. Just as they are about to rescue her, they discovered she was kidnapped not as a hostage but to treat a wounded notorious terrorist leader. The dilemma then comes… Which is more important? Killing the bad guy or rescuing the princess… (Whoops excuse me the female doctor). The show is strictly procedural with reasonable amounts of action and pretty good special effects. At least in the initial episode we didn’t spend a lot of time developing the characters, their personalities, or the back stories. We do know that Heche’s character recently lost a son in battle somewhere and there are whispered questions about whether or not she got to be back to work given her recent tragedy. That’s about the extent of the subplots. Presumably incoming episodes we will get to know more about the characters but this one seems to be strictly about the action. The trailer for the second episode is also a hostage rescue mission of some kind. I will give the show for one thing. There was a minor plot twist that I thought was a plot hole. A terrorist which had been subdued suddenly escaped. I thought it was a plot gimmick to allow the escape just so there would be more danger and more action in the rest of the episode. As it turned out they let the terrorist escape as part of a plan to get the bad guy and rescue the doctor all right this same time. I guess I got cynical by so many shows with obvious plot holes that was a bit refreshing that what appeared to be a hole was actually a pretty clever twist. “SEAL Team” is CBS’s entry into the field. It stars David Boreanaz who has just come off 12 seasons of playing FBI Special Agent Seeley Booth on “Bones”. I did not recognize any of the other cast from either TV shows or films. In contrast to “The Brave” this one deals at least 50% with the back story and regular lives of the characters. Boreanaz’s character has an ex-wife and teenage girls. Part of the show has him in mandatory therapy to deal with the loss of one of his team members under his command. He continues to stay in contact with the widow of his dead teammate. Another member of the seal team has a pregnant wife at home. The show is going to be much more character driven. Whether or not those characters are interesting enough to keep you watching is yet to be determined. A lot of it seems a bit cliché so far. With its combination of action and family drama back stories this show is quite reminiscent of the 2006 military drama “The Unit“. The plot for the opening episode is sadly extremely similar to the opening episode of “The Brave”. This story is slightly reversed in that they are sent to try to capture a high-value terrorist alive and along the way discover that a hostage is being held. Again the dilemma of which is more important… Rescuing a hostage or capturing the bad guy. Without giving away the entire plot of those shows, the outcome of these extremely similar situations is quite different. I will stop short of calling SEAL Team resolution of story more “realistic” and say perhaps it is a slightly darker yet somewhat more probable outcome. Neither of these shows even come close to being “must-see TV”. But both seem to be reasonably watchable with a fair amount of action if that’s what you’re looking for. And depending on whether you want more family back story and character development or whether you want a mostly procedural action drama you can pick between the two accordingly. I’m going to give both of them a couple more episodes before I decide which if either will become regular viewing. For now I’m giving them both a reasonably strong “might be watchable” rating. We will let you know if CW’s entry into the field “Valor” has anything extra to offer.